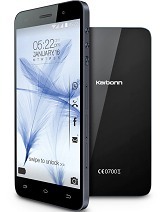 Is karbon titanium s5 plus upgradable to kitkat??? Hi! I'am using Titanium S5+. The most frequently occuring problem is that, my phone gets overheated during using internet and even when bluetooth is on. Please reply if there are any suggestions to stop this. AnonD-266224, 22 May 2014Im using this phone in last week. The overalll performance is good. But the problem is the ins... morebro go n root ur cell n den install link to sd app move all apps to sd card. I purchase Titanium being an Indian product but completely disappointed, speaker not working at all. Authorized Services center is a worst experience, I was told arrogantly to collect phone after 3 months as parts to come from company. wastage of money buy this phone. guys i have been earing lot good sound in my earphone by a trick. its earphone is so weak. it runs only 10-15 minutes. after that it breaks the sound. nd battery backup is not good.